I started out doodling and wound up sketching my foot and surroundings. Too bad I wasn't holding a black pen at the time. 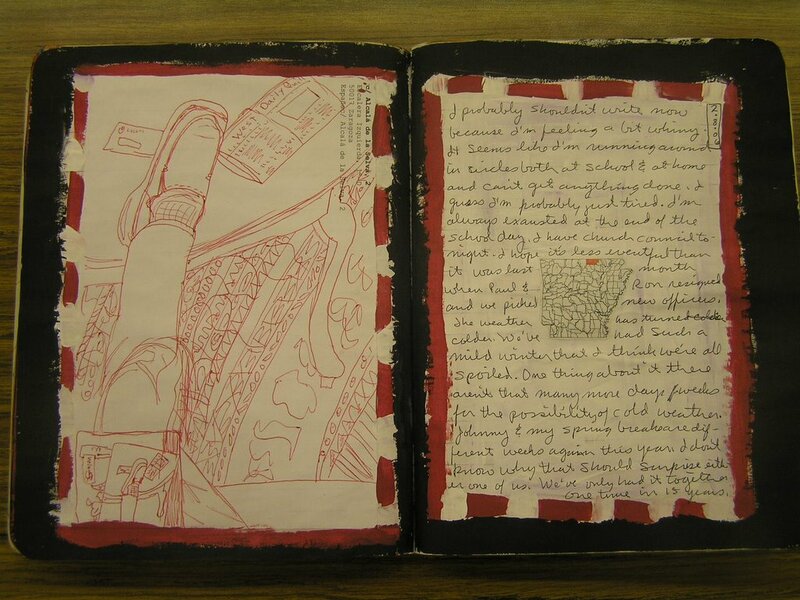 I've been doing pages in a black, white and red altered book. The color scheme leaked over into my journal.